The diagnosis of pelvic fracture starts with physical examination including checking the functional activity of the various body organs present in the pelvic region. 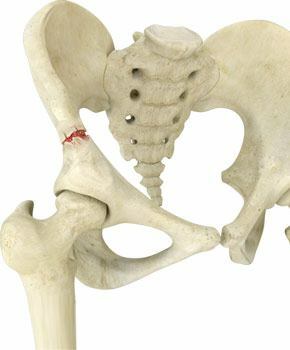 Imaging techniques such as X-rays, CT and MRI scan may also be used to confirm the exact condition or breakage of the pelvic bones. In some cases, additional contrasting studies using radioactive dye may be recommended to evaluate the structural and functional activity of organs such as the urethra, bladder, and the pelvic blood vessels. Treatment of the pelvic fracture depends upon the severity of the injury and condition of the patient. Minor or stable fractures can be treated with conservative methods such as rest, medications, use of crutches, physical therapy, and if required minor surgery. These methods may take 8-12 months for complete healing.